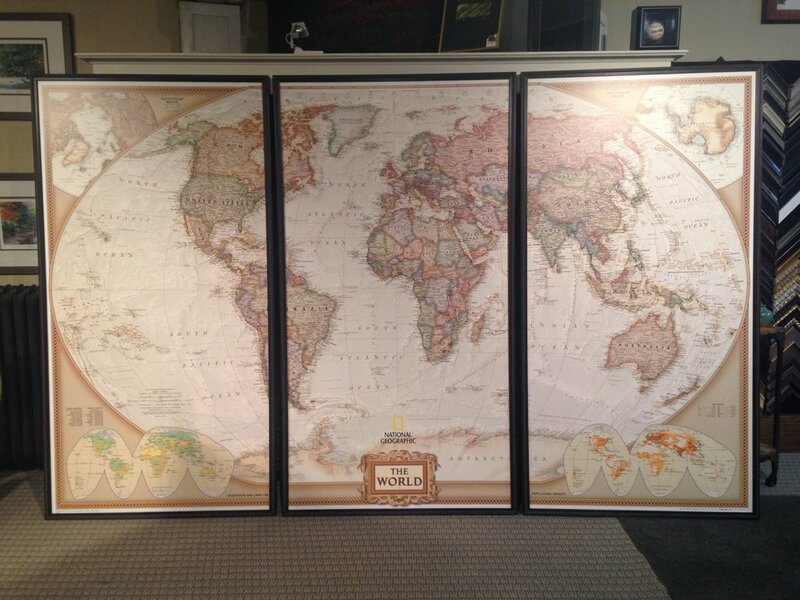 This 3 piece National Geographic Map was framed for a library. Each piece measures 40 x 76. The black frame is 1 1/2″ wide with distressed beading. We are your West Michigan CUSTOM picture framer!